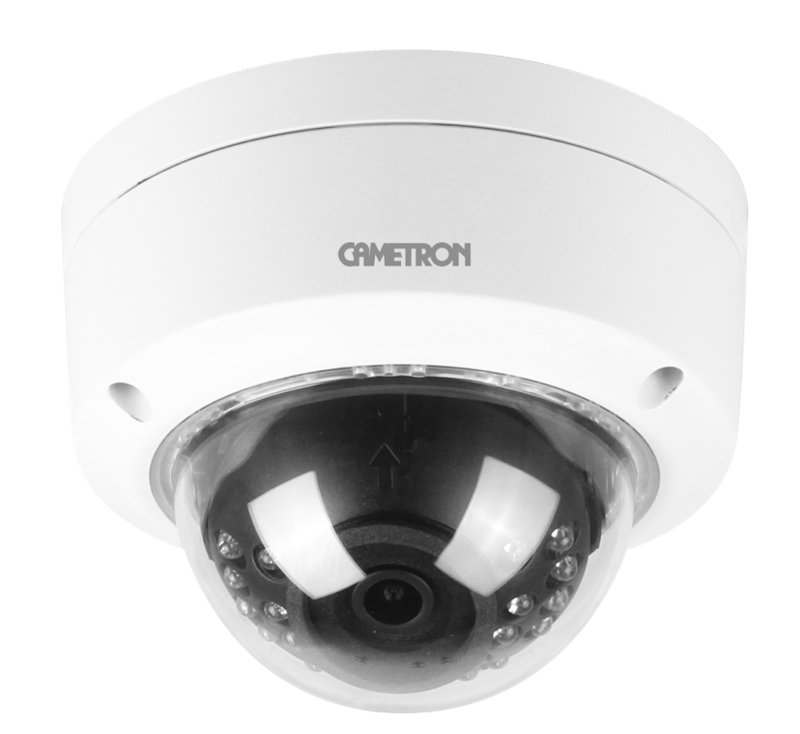 CAMETRON CT-320 21 VFI 76 WDL is the full HD IR vandal proof dome camera with resolution of 2.0 Megapixels. Equipped with varifocal megapixel lens of 2.8~12mm, the unit is designed for the high risk applications especially for outdoor conditions & places with the harsh environmental conditions as the unit is IP66 rated with IK10 certication. The unit is incorporated with WDR function, hence is used for locations with varying lighting conditions. The near Infra Red (NIR) technology helps to boost image and video quality especially in the dark as well as low light conditions, hence the clear images are transmitted without the loss of details. The special electrical circuitry insures the stability for locations or applications with power uctuations with the surge and lighting protection unto 2000V. 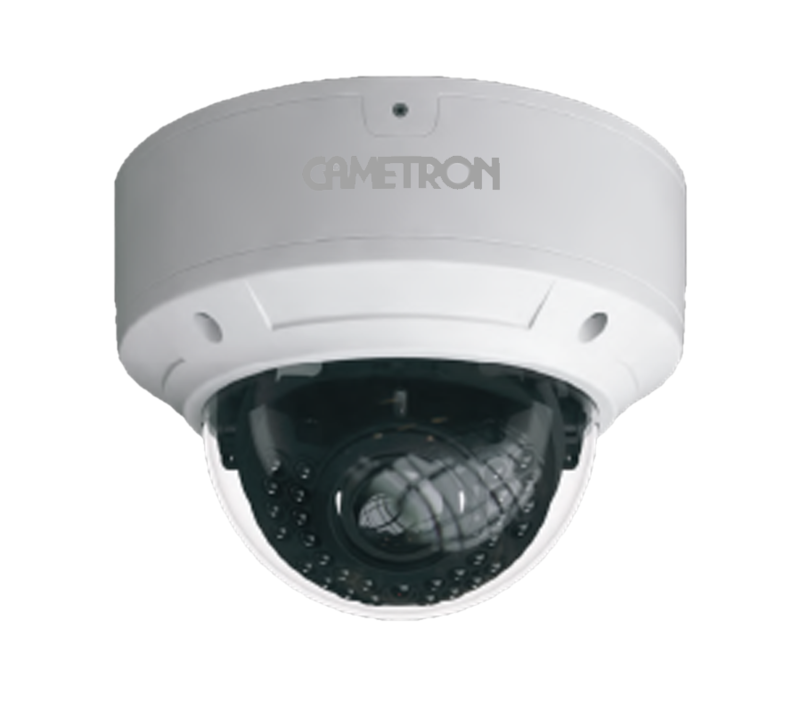 CAMETRON CT-320 32 MID 77 WDL is the full HD motorised IR varifocal dome camera with the resolution of 3.0 Megapixels. Equipped with the varifocal megapixel lens of 2.8~12mm, the unit is designed for the high risk applications especially for outdoor conditions & places with the harsh environmental conditions as the unit is IP66 rated with IK10 certication. The unit is incorporated with WDR function, hence is used for locations with varying lighting conditions. The near Infra Red (NIR) technology helps to boost image and video quality especially in the dark as well as low light conditions, hence the clear images are transmitted without the loss of details. The special electrical circuitry insures the stability for locations or applications with power fluctuations with the surge and lighting protection unto 2000V. 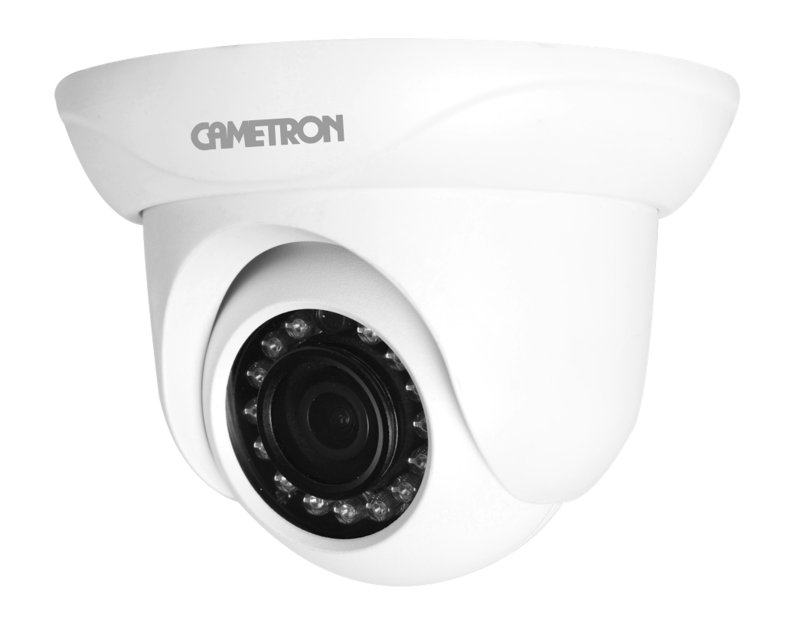 CAMETRON CT 320 42 MID 77WVL is the full HD motorised IR varifocal dome camera with the resolution of 4.0 Megapixels. Equipped with the varifocal megapixel lens of 2.8~12mm, the unit is designed for the high risk applications especially for outdoor conditions & places with the harsh environmental conditions as the unit is IP66 rated with IK10 certication. The unit is incorporated with WDR function, hence is used for locations with varying lighting conditions. The near Infra Red (NIR) technology helps to boost image and video quality especially in the dark as well as low light conditions, hence the clear images are transmitted without the loss of details. The special electrical circuitry insures the stability for locations or applications with power fluctuations with the surge and lighting protection unto 2000V. 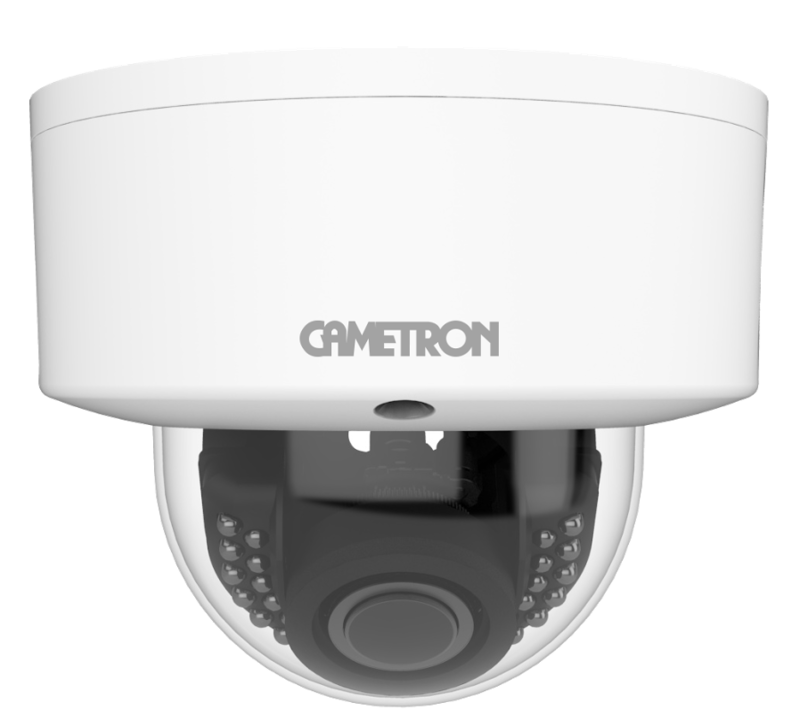 CAMETRON CT-320 21 VFI 75WD is the full HD varifocal lens vandal proof IR dome camera with resolution of 2.0 Mega Pixels. Equipped with varifocal megapixel lens of 2.8~12mm, the unit is designed for the high risk applications especially for outdoor conditions & places with the harsh environmental conditions as the unit is IP66 rated with IK10 certication. The unit is incorporated with WDR function, hence is used for locations with varying lighting conditions. The Near Infra Red (NIR) technology helps to boost image and video quality especially in the dark as well as low light conditions, hence the clear images are transmitted without the loss of details. The special electrical circuitry insures the stability for locations or applications with power fluctuations with the surge and lighting protection unto 2000V. CAMETRON CT-7523AM2 is the 1080P real time image, high resolution, true color Support AHD/TVI/CVI/CVBS video output Up to 1000 TVL resolution CMOS progressive scan, perfectly capture the moving object Starlight, WDR, 3D DNR Support OSD menu High speed, long distance, real time transmission Auto color to B / W at low illumination Support ICR switch, true day / night Support noise reduction function 20 ~ 30m IR night view distance IP66 & IK10 ingress protection Support COC Support 960H CVBS outputWDR function, hence is used for locations with varying lighting conditions. The Near Infra Red (NIR) technology helps to boost image and video quality especially in the dark as well as low light conditions, hence the clear images are transmitted without the loss of details. The special electrical circuitry insures the stability for locations or applications with power fluctuations with the surge and lighting protection unto 2000V.